Clearly articulating classroom expectations helps to set the foundation for a mutually beneficial course. Research shows that persistence and retention is connected to student's sense of belonging. Furthermore, students who engage in quality interactions with faculty are retained at a higher rate (Astin 1977, 1993). As a faculty member, it is important to assist in developing this sense of belonging and aid in students persistence and retention. This session will cover pedagogical strategies and ways to negotiate positive norms within your classroom to assist you in developing a meaningful academic environment. This workshop is a required session for a certificate of completion in Fostering Proactive Learning Environments. In order to qualify for the certificate of completion, participants must attend four required courses and 2 electives. Alisa Liggett is the executive director of Student Conduct and Academic Integrity and Chair of the Behavioral Intervention Team at USC. 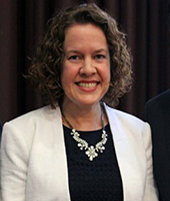 In her 20-year career in student affairs, she has been active in the development of classroom management techniques including methods for preventing misconduct and breaches of academic integrity. As an instructor of both University 101 and group exercise, she enjoys sharing techniques to engage any range of student participants.